Configuring the default browser, default search engine, and default homepage will help your users discover Microsoft Search capabilities, encourage more usage, and provide a smoother experience. To set the default homepage for your organization, follow the steps below. Open the Group Policy Management Console (gpmc.msc) and switch to editing any existing policy or creating a new one. Navigate to User Configuration\Preferences\Control Panel Settings\Internet Settings. Right-click on Internet Settings and select Internet Explorer 10. You need to select the option of Internet Explorer 10 to apply the settings for Internet Explorer 11 as the same settings apply to Internet Explorer 11. Enforce the resultant GPO by linking it to the appropriate domain. Users can still change the homepage after this policy is set. Users won't be able to change the search provider after this policy is set. The Windows Support article on managing ADMX files and the latest ADMX files for different versions of Windows can be found on Microsoft Support. You'll also need the latest Google policy file, which you can find on Google Chrome Enterprise Help. Make sure the following folders appear in the Administrative Templates section of both User/Computer Configuration: Google Chrome and Google Chrome - Default Settings (users can override). The settings of the first section are fixed and the local administrator won't be able to change them. The settings of the latter section of policies can be changed by users in their browser settings. You should decide if users can override your default setting. In the following steps, change in the setting in the folder that corresponds to your organization policy and needs. The steps below use the Google Chrome - Default Settings as the default. Navigate to <Computer/User Configuration>\Administrative Templates\Google Chrome - Default Settings\Home Page. Double-click Use New Tab Page as homepage, and set it to Enabled. 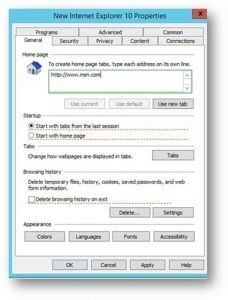 Navigate to <Computer/User Configuration>\Administrative Templates\Google Chrome - Default Settings\New Tab Page. Users will be able to change the home page after this policy is set.